A CORRECTIVE AND PREVENTIVE ACTION REPORT IS A TYPE OF DOCUMENT THAT MEDICAL DEVICE COMPANIES USE AS PART OF THE CAPA PROCESS TO INITIATE A CORRECTIVE ACTION THAT WILL PREVENT A MISTAKE FROM HAPPENING AGAIN. A corrective and preventive action report is filled out following the identification, documentation, and evaluation of a nonconformance event at a medical device company. Some companies choose to report corrective and preventive actions on the same report and call this document a CAPA report, while other companies separate the CAPA report into two separate items: corrective action reports (CAR) and preventive action reports (PAR). In either case, the purpose of the report is to initiate a process that will lead to either a corrective or preventive action. Corrective actions are required when a nonconformance event is discovered and the medical device company wishes to avoid repeating the same mistake. Preventive actions are required when the company discovers an issue with a policy or process that could lead to non-conformance events in the future. WHO CREATES A CAPA REPORT? A one-page CAPA report can be used to document a CAPA event from beginning to end. The document will be touched several times throughout the process, including by the initiator (the person who decided to initiate the CAPA), the implementer (someone who conducts a root cause analysis to discover what caused the nonconformance and creates an action plan) and the quality manager (the person responsible for reviewing and approving all documents that live in the quality management system (QMS). CAPA reports must be documented in the medical device QMS in accordance with the document control standards and regulations specified by ISO and the FDA. Initiate the CAPA Event - The initiator writes their name and date along with a description of the problem, an estimation of its severity and any immediate actions that were taken with respect to the nonconforming product. The form can be submitted to the company's CAPA review group where someone will be assigned to review the case. Implement the CAPA Process - When it is time to implement CAPA, an implementer will conduct and document a root cause analysis, identifying suspected causes and contributing causes of the issue. They should create and outline a plan for corrective or preventive actions at this time. Fixes should be implemented according to this action plan. Once a plan has been implemented, the initiator can conduct a verification for the CAPA, reviewing test results to ensure that the solution was implemented successfully and that the nonconformance issue will not reoccur. The report is closed when the involved personnel sign and date the bottom of the report, indicating that steps of the CAPA process were correctly followed. Corrective and Preventive action reports are not the kind of reports that you write a single time, then file and forget about. These are reports that reflect an ongoing process involving many people at your medical device company. CAPA reports will be separately accessed by the report initiator, the implementer, a quality manager conducting management reviews, your company's CAPA review team, internal and external auditors, financiers and more. Greenlight Guru's QMS allows medical device companies to maintain secure and up-to-date storage of all documents pertaining to the CAPA process, including the relevant policies and procedures and all CAPA reports and other documentation that are generated. Greenlight Guru helps ensure that medical device companies can produce accurate information for auditors in a timely fashion, helping you get to market even faster. 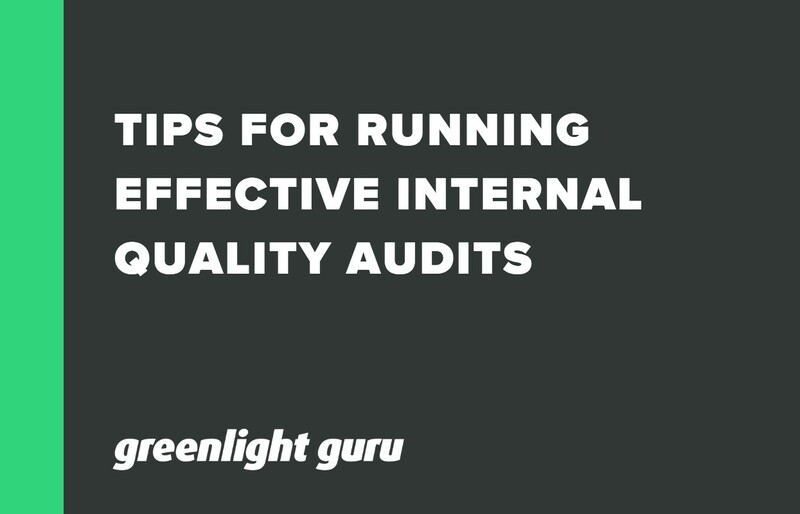 Here are some tips for running an effective internal auditing program at your medical device company. 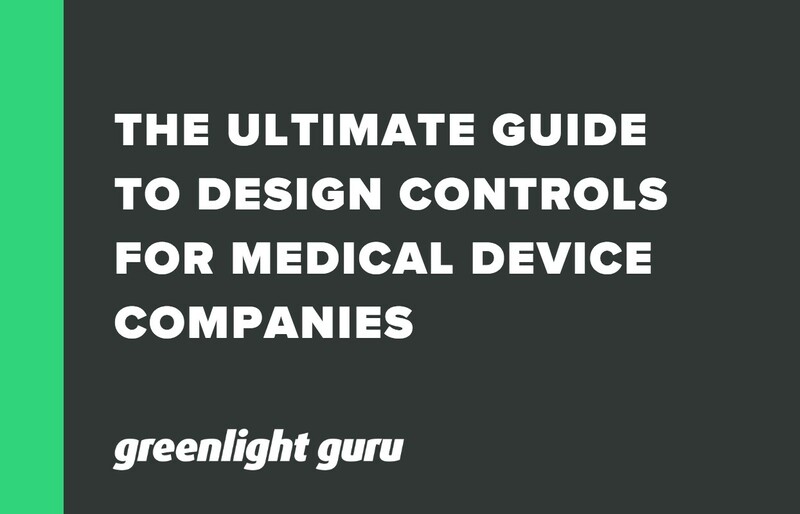 How to start using FDA design controls to your benefit today & implement a process to actually improve your medical device product development efforts. 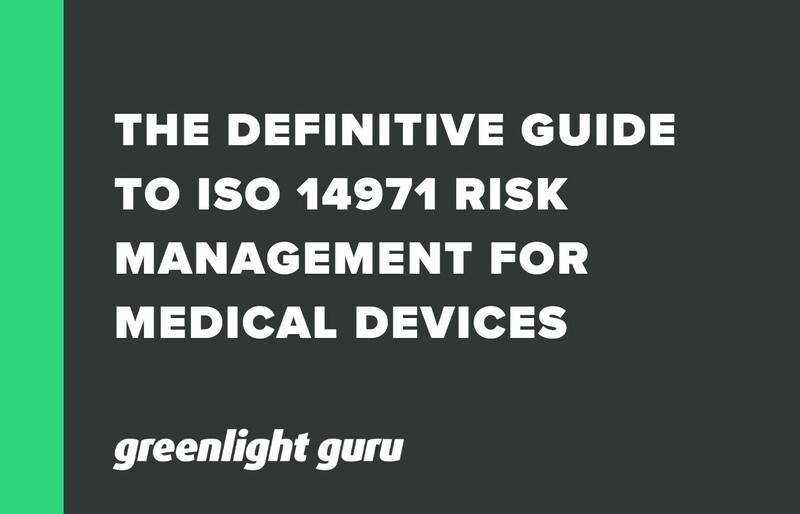 The definitive guide to ISO 14971 risk management for medical devices. Learn what is expected from regulators & how to use risk management as a tool.